Every garden is different but few public gardens are truly unique. Quarryhill Botanical Garden is certainly an exception to this rule. Quarryhill’s goal of “advancing the conservation, study, and cultivation of the flora of Asia,” has led them to create a beautiful garden that displays one of the largest collections of documented wild-collected Asian plants in the world. The plants are displayed throughout much of the garden in naturalistic settings unlike most gardens that strive to create order out of nature. Quarryhill manages to capture the serene beauty of a wild Asian mountainside. The garden began in earnest in 1987 when the founder, Jane Davenport Jansen, sent the first of many expeditions to Asia. 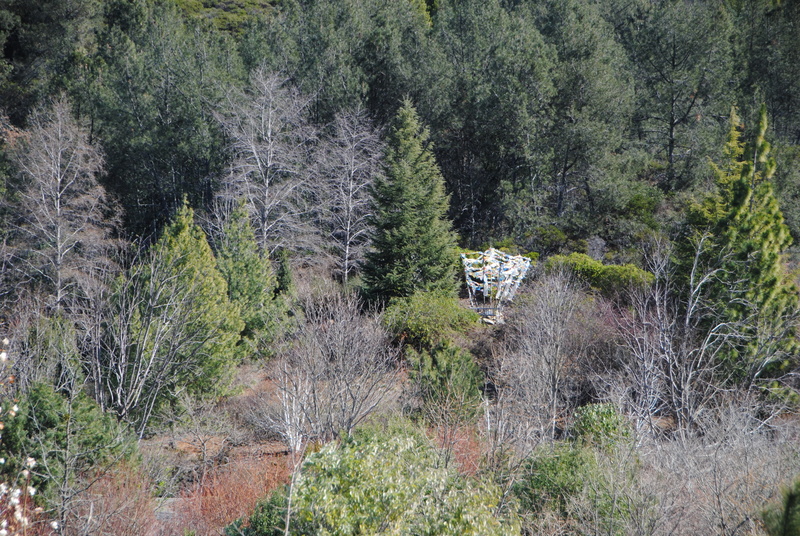 The young plants were planted on the hillsides above the vineyards of wine country in California. 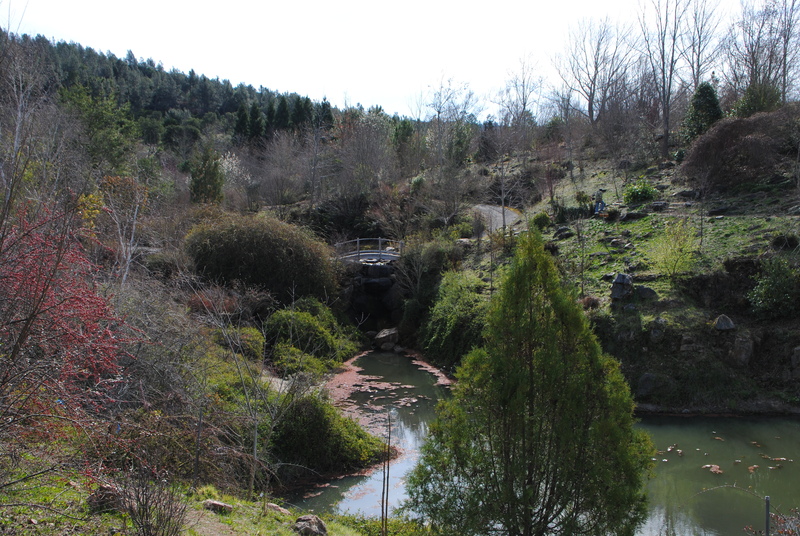 The garden was the former site of a series of quarries giving rise to the garden’s name. The abandoned rubble and rocky ground is certainly a challenge for gardening but the beauty of water-filled excavation sites and waterfalls provides a picturesque backdrop for the collections. The beauty of the land is only enhanced by the plant collections. Leading the efforts of the garden for most of its existence has been Bill McNamara a well-known expert on the flora of Asia who straddles the divide between botanists and gardeners bringing the best of both disciplines to bear on his work. Bill was made a field associate of the Department of Botany, California Academy of Sciences, San Francisco, and an honorary researcher of the Scientific Information Center of Resources and Environment of the Chinese Academy of Sciences in 2000. In 2001 he became an associate member of the joint Chinese-American Committee for the Flora of China. In 2006, Bill was made an international advisor for Curtis’s Botanical Magazine. 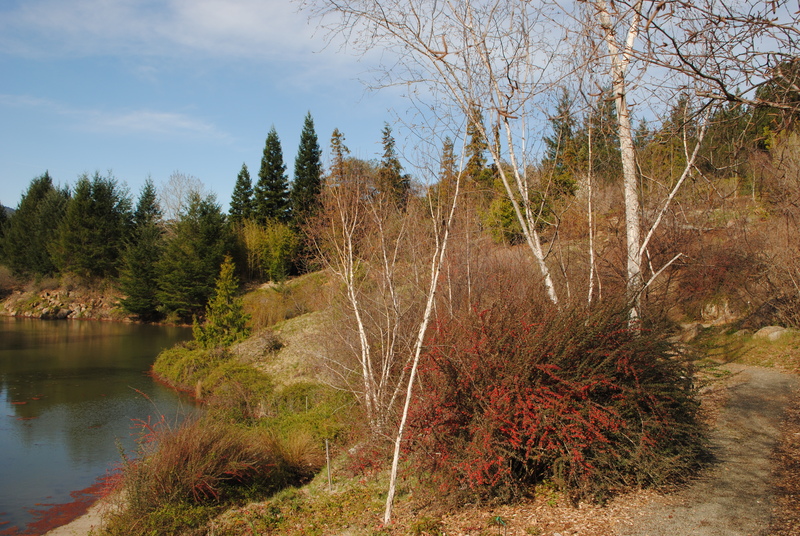 He has been the curator of the Crombie Arboretum since 2003. Bill has a Master’s degree in conservation biology and is also a member of the San Francisco Botanical Garden at Strybing Arboretum Horticulture Advisory Committee. He received the Garden Club of America’s Eloise Payne Luquer Medal in 2009 and received the prestigious 2010 Scott Medal and Award from the Scott Arboretum of Swarthmore College. He was the recipient of the California Horticultural Society Annual Award in 2012. In 2013, he received the Award of Excellence from the National Garden Clubs. 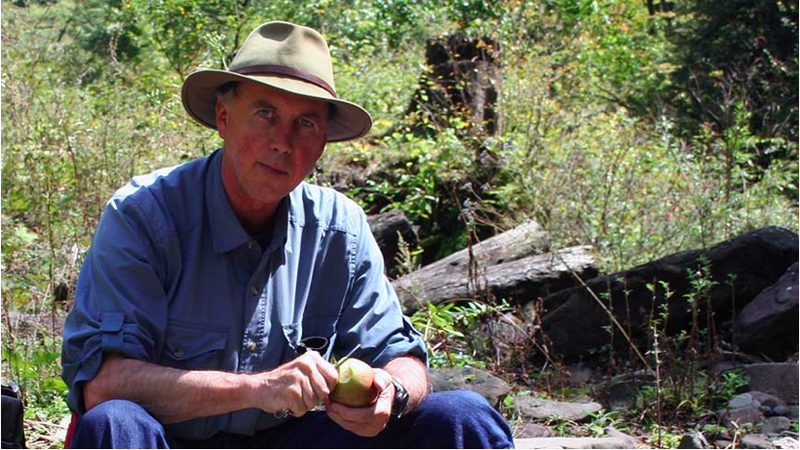 Bill McNamara has spent 26 years studying and collecting plants in Asia. We are thrilled here at the JC Raulston Arboretum to have Bill back to share some of his collected wisdom, keen insights, and dry wit for our Winter Symposium. Bill was one of the highlights of our 30th Anniversary celebration and participants have been requesting his return. Bill and I have had several conversations over the years about the diversity of roses throughout Asia and their potential to transform the modern landscape rose. Quarryhill has created perhaps the only garden dedicated to the wild roses that have given rise to our modern selections. As the JCRA celebrates the soon-to-be-finished Finley-Nottingham Rose Garden, I could think of no better person to be here for our “Stop and Smell the Roses” symposium on February 21, 2015. 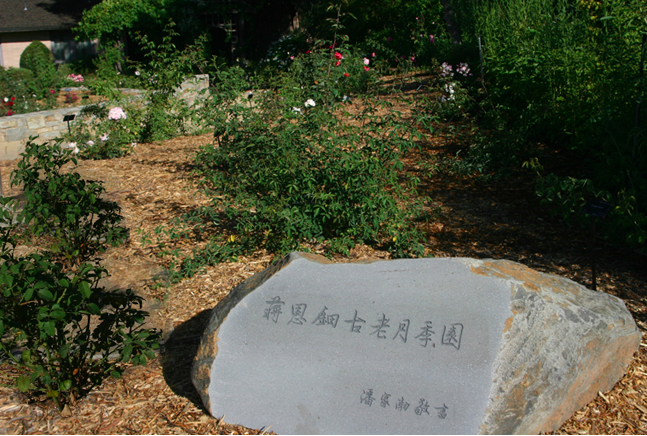 The Jiang Entian Chinese Heritage Rose Garden at Quarryhill Botanical Garden was dedicated in 2012. 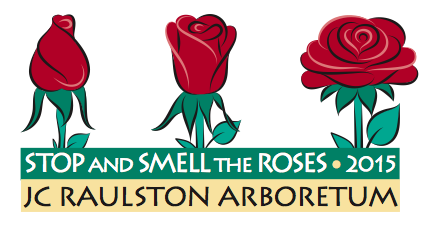 Stop and Smell the Roses all through 2015 at the JC Raulston Arboretum. Check out all the happenings, see more images, and learn more at the JC Raulston Arboretum where we are Planting a Better World. Tibetan prayer flags add to the Asian ambiance of the garden. This entry was posted in Our Favorite Places and tagged Asian flora, JC Raulston, JC Raulston Arboretum, JCRA, lecture, Quarryhill Botanical Garden, roses, William McNamara, winter symposium on January 26, 2015 by Mark Weathington.